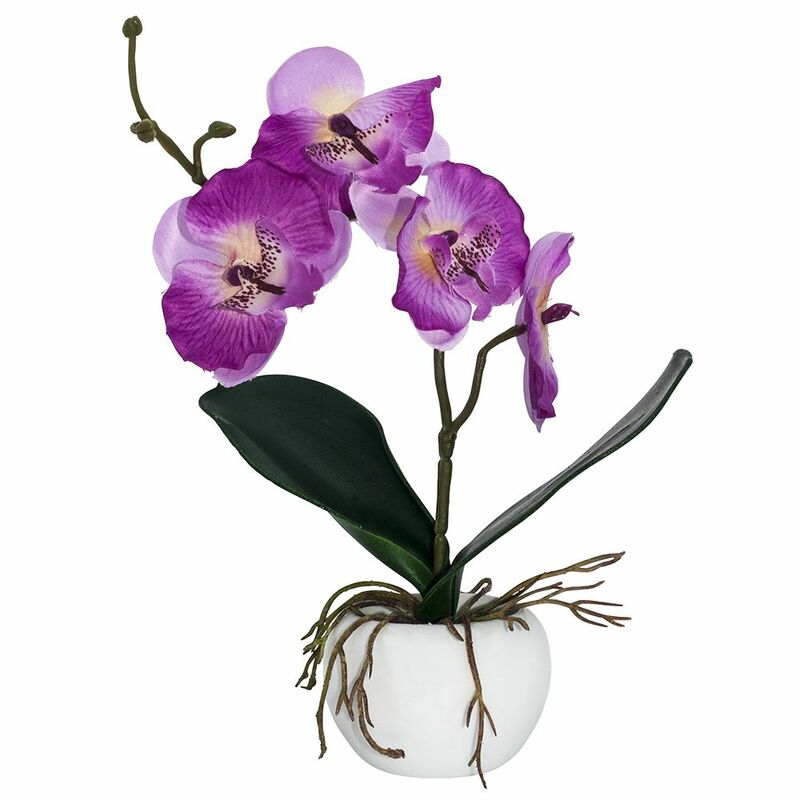 Elegant artificial lilac orchid in small round white vase. 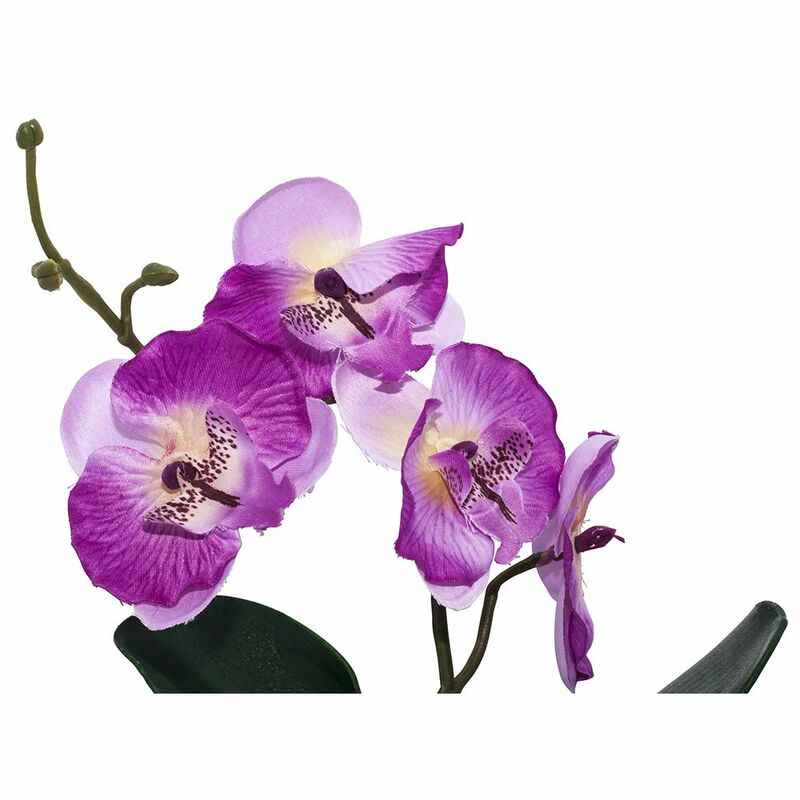 Features realistic multi-tonal lilac orchid flowers and buds. Measures 19cm tall, 6cm wide and 6cm deep.